Website the website that you are currently using, http://littlecakecharacters.com, and any sub-domains of this site unless expressly excluded by their own terms and conditions. 4. 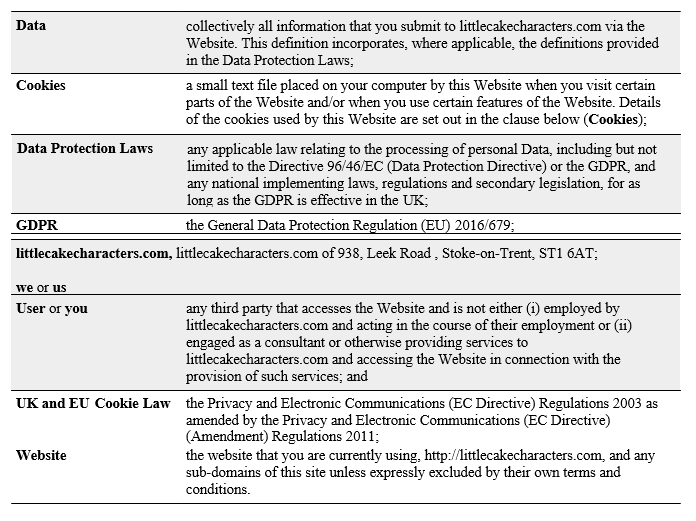 For purposes of the applicable Data Protection Laws, littlecakecharacters.com is the “data controller". This means that littlecakecharacters.com determines the purposes for which, and the manner in which, your Data is processed. b. we will collect your Data automatically via cookies, in line with the cookie settings on your browser. For more information about cookies, and how we use them on the Website, see the section below, headed “Cookies". 10. We may use your Data for the above purposes if we deem it necessary to do so for our legitimate interests. If you are not satisfied with this, you have the right to object in certain circumstances (see the section headed “Your rights" below). 14. Technical and organisational measures include measures to deal with any suspected data breach. If you suspect any misuse or loss or unauthorised access to your Data, please let us know immediately by contacting us via this e-mail address: littlecakecharacters@hotmail.co.uk. (ii) that we modify, update or delete such information. If we provide you with access to the information we hold about you, we will not charge you for this, unless your request is “manifestly unfounded or excessive." Where we are legally permitted to do so, we may refuse your request. If we refuse your request, we will tell you the reasons why. d. Right to restrict our use of your Data – the right to “block" us from using your Data or limit the way in which we can use it. 19. To make enquiries, exercise any of your rights set out above, or withdraw your consent to the processing of your Data (where consent is our legal basis for processing your Data), please contact us via this e-mail address: littlecakecharacters@hotmail.co.uk. 28. Before the Website places Cookies on your computer, you will be presented with a message bar requesting your consent to set those Cookies. 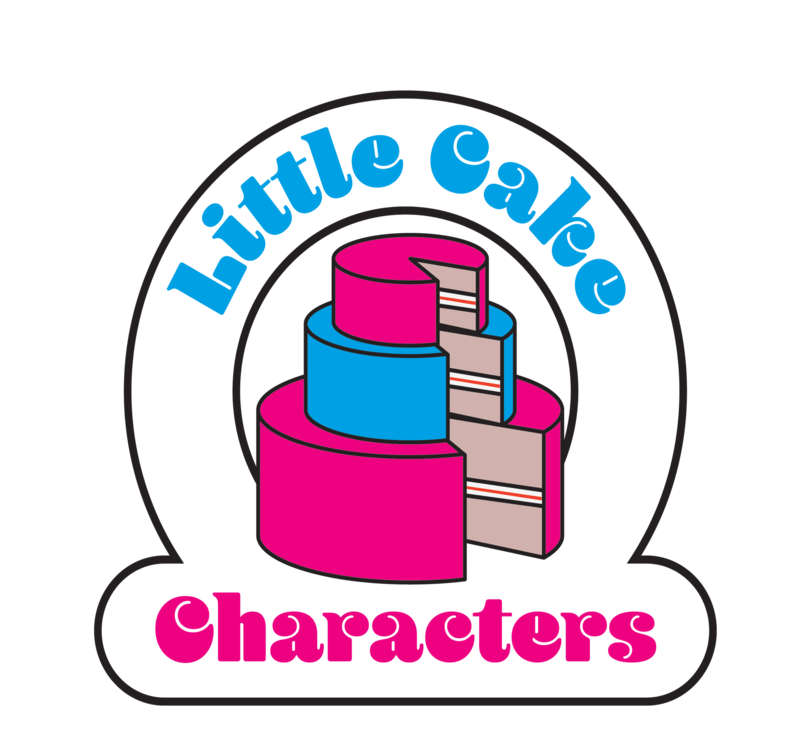 By giving your consent to the placing of Cookies, you are enabling littlecakecharacters.com to provide a better experience and service to you. You may, if you wish, deny consent to the placing of Cookies; however certain features of the Website may not function fully or as intended. You may contact littlecakecharacters.com by email at littlecakecharacters@hotmail.co.uk. Little Cake Characters started in 2011. We bake all cakes on the premises and make all decorations, keeping the same personal service.